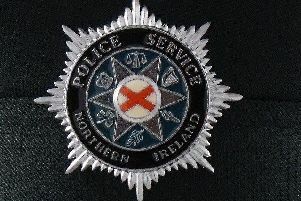 Detectives have arrested two men in connection with an armed robbery in the Foyle area earlier this week. The men, aged 49 and 41, were arrested by Detectives from the PSNI’s Terrorism Investigation Unit, police said on Saturday afternoon. PSNI Detective Inspector Orr said: “TIU detectives, supported by district police colleagues, carried out searches in the Creggan and Strand Road areas of the city this morning and arrested the suspects. Police had issued an appeal for information on Tuesday within hours of the robbery taking place along the busy Meadowbank Avenue. Police said at the time that a hooded male in a high visibility jacket with his face obscured by a scarf approached and stopped the van shortly before 11:00am, reached inside the vehicle and removed a holdall containing a large sum of cash before fleeing on foot in the direction of Barry Street.